Random Skull Productions is celebrating Halloween 2017 with an extra special release! 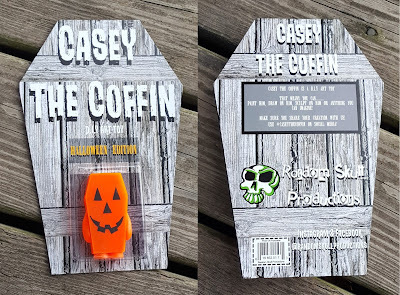 Check out these awesome Halloween Edition Casey the Coffin resin figures. Who knew a coffin painted to look like a pumpkin could look so cute!?! Each 3” mini figure is cast in UV active orange resin and features a hand painted Jack-o-Lantern face. 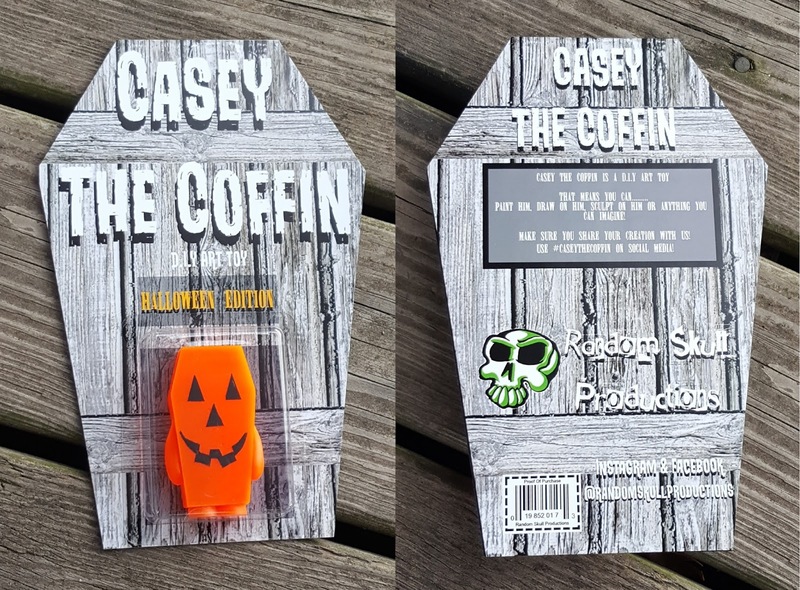 Limited to just 12 pieces, each Halloween Casey the Coffin comes packaged on a custom coffin shaped backer card with blister. Collectors can purchase this awesome resin figure now at the Random Skull Productions online store for $25. And be sure to look around at the RSP store to see a number of killer 1-offs and other Halloween Edition variants.